If soccer like most other sports would adjust the game according to gender, and if women would continue to play the size 5 ball – then men would have to play a larger ball. Size matters. Imagine me playing with a size 7 ball. On September 19th, 2017 eight women came to New York City, excited and prepared to represent their home country, Dominica in the Global Goals World Cup finals. Before the first whistle was blown, the game was over for team Dominica. Hurricane Maria became the team to beat. The 8 players returned home without playing. Now they want to bring Global Goals World Cup to their own home. The island is still in disaster recovery mode and the need for inspiration and action is more important than ever. Please help this team of passionate citizens create an event to mobilize local action for the Global Goals (the Sustainable Development Goals) and shine a light on the powerful role of women in rebuilding their community. You can support us building Global Goals World Cups around the world. You can donate balls to schools, clubs, friends of your choice, or we can point out a school for you. You can support a player financially, which enables her to join our GGWCup in New York City during the UN Week every year – or you can start your own campaign to rally your team, school, family, friends and colleagues to know more about the Global Goals. Our warmest thanks for all the help we get. On September 25th 2015, 193 world leaders committed to 17 Global Goals for sustainable development to achieve 3 extraordinary things in the next 15 years: End extreme poverty; Fight inequality and injustice; Fix climate change. In all countries. For all people. Everyone needs to know about it. Eir has teamed up with UN Global Goals and developed the Eir Global Goals ball. This is the first ever women’s amateur World Cup. We play for fun, for glory and for the 17 UN Global Goals. With the Global Goals, every nation in the world has committed themselves to work together to end poverty, fight inequality and stop climate change. Self-discovery and playful interaction through sports is one of the most empowering ways to restore dignity, unity and hope. Therefore, together, we connect women around the world through soccer. We play for fun, for glory and for the UN Global Goals. Let’s make some noise for the world we want! The ‘Dizzy Goals‘ challenge has been launched to raise awareness about the Global Goals. We’re asking everyone to join the biggest team ever and help us to Tell Everyone about the goals. Watch the videos to see participants doing ‘a dizzy penalty for the Global Goals’. The Global Goals stand still without action. Global Goals Impact Games are about togetherness and understanding the UN 17 Global Goals by playing ball. Soccer is one of the world’s most powerful tools to communicate and implement change. Through soccer we can enhance curiosity, build health, develop the mind and trust amongst each other. Global Goals Impact Games will inspire children, coaches, teachers and players to help take actions for the Global Goals locally and globally. Impact Games and drills blend The Global Goals perspective with known football drills and games. The drills and games are developed by coaches and players of all ages and can be adjusted to fit anyone in any school, club at any place. You can pick one, two, or three Impact Games for a 15-20 min fun physically activity in another lesson, or you can create a series of sessions so the students gets a deeper understanding of the 17 Global Goals. In 2011 we established Asylum United; a weekly soccer practice for refugee women living in asylum camps in Denmark who would attended games and tournaments on a national level. Go here for support or more information about Asylum United. Celebrating women’s right to vote. 100 Years. Over the coming years countries around the world will celebrate their 100 years anniversary of women’s right to vote. To celebrate the event Eir created a new soccer game performed in Copenhagen at our 100 years celebration: The Do Democracy game. In Do Democracy soccer we apply democratic and playful rules that motivate the attending teams to get to know each other and understand that players have a voice – the teams unite to jointly decide 5 rules of soccer to play by in a specific match. The rules to choose from are endless. Raised funds for an Afghan women’s and men’s national team bus. Over the years we have worked with NGO’s, corporates and smaller companies, governments, music festivals and thousands of amazing people and even more thousands of amazing players. Thank you Red Cross, UNDP, Save The Children, Women Deliver, hummel, Ministry of Foreign Affairs for Denmark, Danish Football Association, Roskilde Festival, Distortion, Coca Cola, Cover, Eurowoman, Elle Magazines, Loreal, US, State Department, City of Copenhagen, Danish FA, German FA, University of Århus, University of Copenhagen, Plan, Gain, Ganni and many others for endless trust, support and participation. This ball makes women’s soccer more attractive to look at with faster passes and longer kicks. I have played with the ball for a season now. I kick significantly longer with the Eir ball than with an ordinary ball – and I have done some brilliant headers this season. I have also tested the ball in small sided games and was positively surprised that it was fast, yet controllable. I agree 100 % this would change the game for women. My outside left back was able to strike the ball behind the right back into the empty space for the right outside back to get into the attack. That is a 35 yard distance. This would not happen with a standard ball. 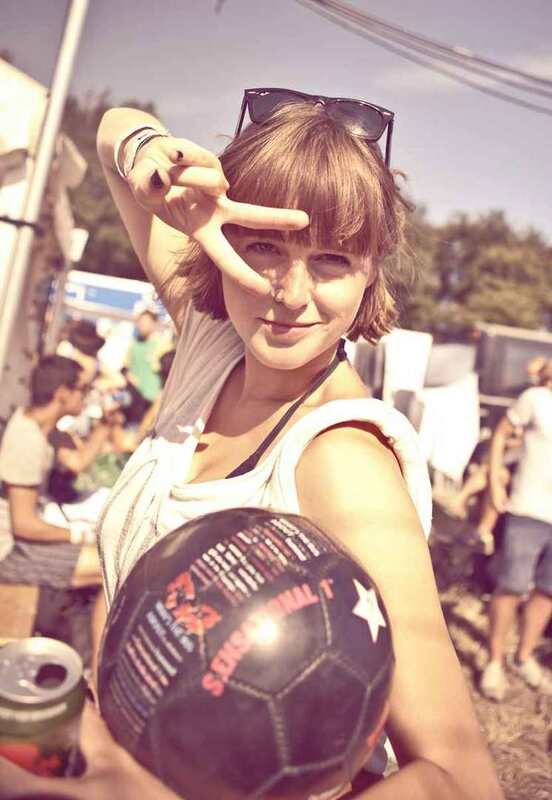 Eir has proven that they know how to fuse the energy and vibe of fashion and lifestyle with sports making it a kind of Woodstock Football Festival event where people play or watch football. Each year I get more and more amazed when I see how much the 1,000+ women invest in the game. We really are very proud sponsors and co-promoters of this cool event. Soccer is one of the world’s most powerful communication tools. We reshape the landscape of sports through soccer – always guided by our promise. Use soccer and the ball as a means of creating a better world where poverty or other unsustainable conditions exist. Stand up against the severe injuries as well as gender stereotype in soccer – and support women to live a full life with soccer. Our brand ‘EIR’ is inspired by Nordic mythology: Eir is a goddess and valkyrie associated with medical skill and a healing goddess. Today young girls and women are playing soccer with a men’s size soccer ball. Most other sports like basketball, golf, tennis, and hurdle race have adjusted equipment to give players the best chance to succeed. In soccer, players aged 14-19 suffer one serious injury per year. With a 90% chance of a suffering second injury, many of them retire from the game before they ever reach their prime. The Eir balls have been developed to fit women’s size and weight, to reduce injuries and enable a faster game. Today, we know that there are 6x as many injuries in women’s soccer as in men’s and that women suffer more head injuries in soccer than men do in ice hockey. The Eir ball is the product of three years of research by scientists in Denmark and Germany supported by the German and Danish football/soccer associations. The Danish Football Association has granted permission to play with the ball for all age groups except for the pro adult league. As is the case of the Eir ball, fashion and gear will be a cornerstone of our mission. Model and soccer player, Josephine Skriver, in New York supporting Asylum United. By offering both safe, competitive, and playful ways of playing soccer we increase the ability, confidence, and desire to be active. Inclusion is not just a philosophy. It’s a commitment to new traditions. Our latest event series is the Global Goals World cup. For the last five years we have gathered thousands of soccer playing girls, a large crowd of spectators for a three day street soccer event – at the 100,000+ people Roskilde Music Festival. To us, creating events at music festivals is brilliantly fun. Eir nominated Best Grassroots Project. To see pictures from Roskilde Festivals go to our Facebook page (you will find previous events at our previous Facebook page) or our Flickr page. To see videos from previous years, go to our YouTube channel. 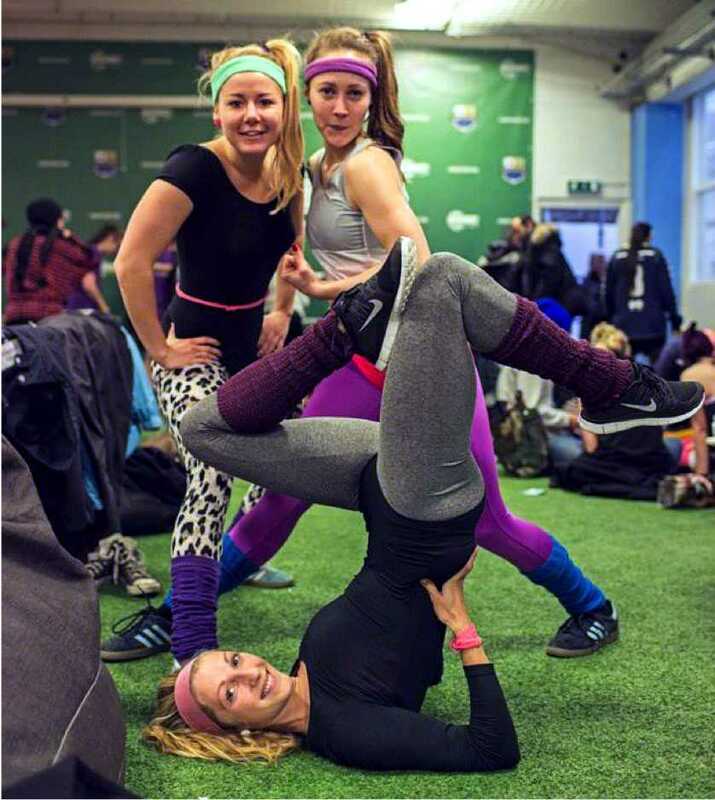 Sports event developed and facilitated for the City of Copenhagen and the International Olympic Committee. 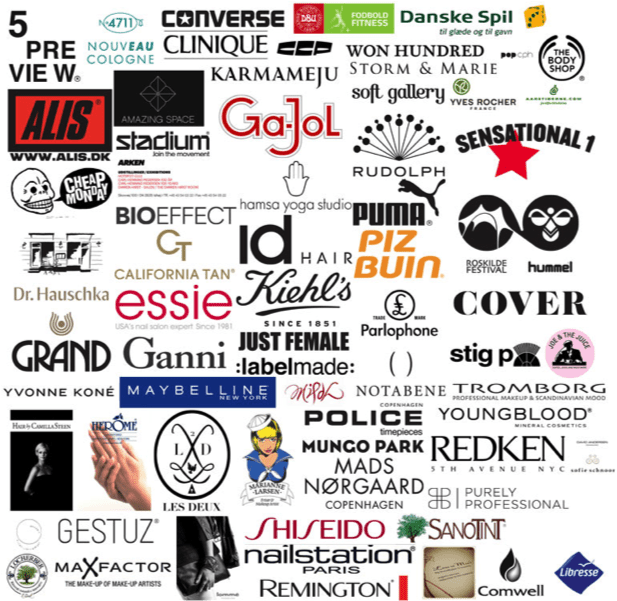 O ver the years we have created +50 city tournaments together with fashion stores, media companies, gowernmental bodies and charity organizations. There is no doubt that it’s beneficial for the City of Copenhagen to support Eir Org. It’s brilliant city branding. As a city, we want to be known for hosting such events. Eir Org is fun, creates friendships and networks and inspires us to be active and creative. I have worked with the people behind this sensational event in regards to the Climate Summit for Mayors, that I hosted last December and they have a strong flair in making people feel that they are connected and doing something that matters. 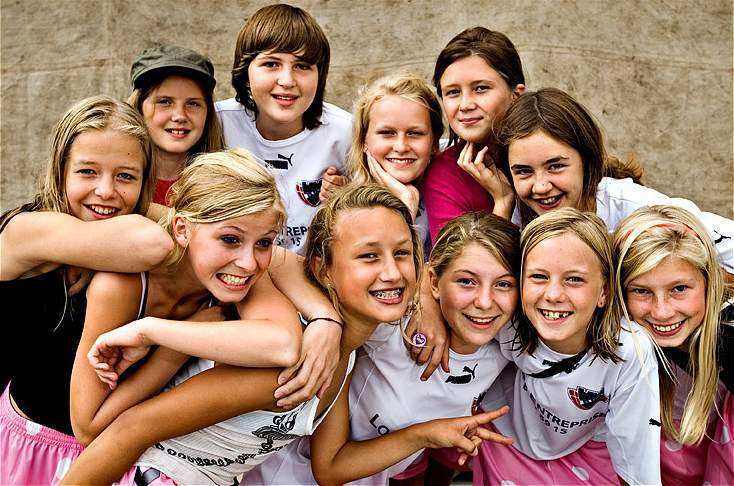 The camp concepts have been developed in cooperation with former professional players such as Becca Todd – national beach soccer team player; Futbolistas Coaching Director, and sports scientist who has volunteered making kids smile all over the world – and Bettina Falk – former Danish national team player with 86 caps; FIFA end UEFA licensed soccer coach. S occer fitness programs aim at anyone who wants to learn or refresh skills, have fun and get a brilliant workout. College students, moms, players or non-players at all ages will benefit. We conduct pop-up, indoor and outdoor soccer fitness classes running 2-12 weeks. Talk to us about great activities at your school, college or company. Soccer fitness may also be planned in addition to the soccer camps for the young girls as a 2 hour training for parents while their girls are at camp. From a health-perspective, soccer has important benefits, such as reduced risk of obesity and diabetes, but also includes an inherent risk of injury. Since 2008 we have conducted research of injuries and ball behaviour together with scientists in Europe. Using share of voice as a measure of the public opinion on sports injuries and sports health – the concern has reached a level that has launched a hunt for answers to concussions, ACL tears and better ways of playing sport among health professionals, players, parents and other stakeholders. Most other sports – e.g. basketball, hedge and golf – have adjusted the game/and equipment to women to give the performer the best chance to succeed. Football/soccer stands out as one of the few sports where gender equality adjustment remains. The average female soccer player aged 14-19 suffers one injury per year. There are up to 6x as many injuries in women’s soccer as in men’s. Women suffer more head injuries in soccer than men do in ice hockey with the number of head injuries second only to men’s football/soccer. With a 90% chance of a suffering second injury, many players retire from the game before they ever reach their prime. When women kick a standard size 5 ball they lift the leg too high. This makes it difficult to create speed and puts stress on the knee alone instead of spreading stress over both knee and hip. Women’s head acceleration when heading a standard size 5 ball is above the level where concussions can occur. If a specific player is able to kick a standard size 5 ball 33 meters, then the same player can kick the Eir ball 37.4 meters (13% longer). A 20-meter pass (not touching the ground) will take 0.91 seconds with a standard size 5 ball and 0.85 seconds (6% less) with an Eir ball. Ball speed is higher when kicking the Eir ball vis-à-vis a standard size 5 ball (23.9 m/s vs. 22.5 m/s) – given no difference in the foot speed. 50% of the players find the Eir ball better than the standard size 5 ball and 86% of all respondents respond positively to the Eir ball. In long passes the Eir ball moves particularly better. Nearly half of all respondents stress that when playing with the Eir ball, they have a better feeling than with the standard size 5 ball. 66% of the players think it is more fun to play with the Eir ball. The increase in level of sports injuries, particularly tears to the anterior cruciate ligament (ACL) of the knee, increases risk of osteoarthritis, even if it is surgically repaired. Among female soccer players who had sustained acl injuries, more than half developed x-ray signs of osteoarthritis in the following 12 years. Injury-incidence in adolescent female soccer is 15.3 per 1.000 hours of soccer-exposure. This is extremely high. The level of wear & tear injuries is high. Strain of legs are higher with a standard ball 5 than with the Eir ball (5.2 vs. 3.7). Too long time is spent at high heart rates. Players unaccustomed to the Eir ball spent more relative time over 95% of HRmax and less relative time in 80-90% of HRmax, when playing with a standard ball 5. Head acceleration will be significantly lower – even at an increased ball speed – when using the Eir ball with lower mass vis-a-vis the standard ball 5. Female kickers tend to move both the thigh and the shank towards the ball, whereas the male kickers only rotate their shank. Changing the movement with the Eir ball can remove pressure on the female knee close to zero. With the new women’s football/soccer ball, elite women kick the ball with 4% higher ball velocity. Elite male football/soccer players achieve maximal ball speeds of approximately 30 m/s when kicking under laboratory conditions. Female players, however, only achieve speeds of up to 22 m/s. When the eir ball is hit well, you can pass it further and more precise – both in the air and on the ground. The dribbling is faster and safer, especially when changing direction. If a player is able to kick a standard size 5 ball 33 meters, then the same player can kick the Eir ball 37.4 meters (13% longer). Fifty (50)% of the players find the Eir ball better vis-a-vis a standard 5 ball. 86% of all respondents respond positively to the Eir ball. Nearly half of all respondents stress that when playing with the Eir ball they have a better feeling. 66% think it is more fun to play with the Eir ball. 53% say that playing with the Eir ball is a special experience. Further research documentation may be revealed upon request. Contact us. By offering both safe, competitive, and playful ways of playing soccer we increase the ability, confidence, and desire to be active. We call it the ‘inclusive model’.